The fact that this year’s “Best Engineered Album” winner features 16 engineers says something about production mores in 2019. Is it a comment on the modern status of ‘the album’, a comment on pick ‘n mix A&R, or even something which the production community should concern themselves with? We’re sure this will be a future discussion point in Resolution. 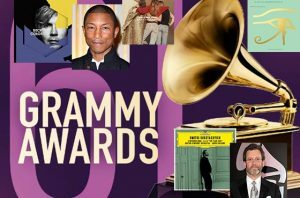 Dua Lipa, Kacey Musgraves and Childish Gambino were among the big winners at this year’s Grammy Awards. Country-pop star Musgraves took home four prizes in total, including Album of the Year for Golden Hour. Musgraves also picked up awards for Best Country Album, Best Country Solo Performance and Best Country Song for ‘Space Cowboy’. Meanwhile, Dua Lipa won Best New Artist and Best Dance Collaboration for her Silk City collaboration Electricity. Gambino (a.k.a. Donald Glover) scooped three of the night’s biggest awards, Record of the Year, Song of the Year and Video of the Year, for his incendiary track ‘This Is America’, which is the first hip-hop Song of the Year winner in Grammys history. These Grammys worked hard to make up for 2018’s mistakes. 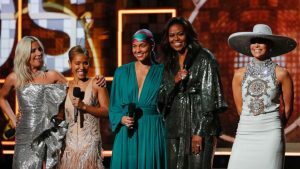 Like the one where Recording Academy president and CEO Neil Portnow said, after 2018’s mainly male winners, that women need to “step up” in order to compete in the music business. Dua Lipa referenced Portnow in her Best New Artist acceptance speech by saying, “I guess this year we really stepped up” …women took centre stage with Cardi B becoming the first solo woman to win best rap album, Lady Gaga taking home the award for best pop duo performance and the show itself hosted by Alicia Keys, who at one point was joined on stage by Lady Gaga, Jada Pinkett-Smith, Michelle Obama and Jennifer Lopez.